October feels like a very long time ago, and I was in the midsts of newborn joy/chaos so very little crafting got done. 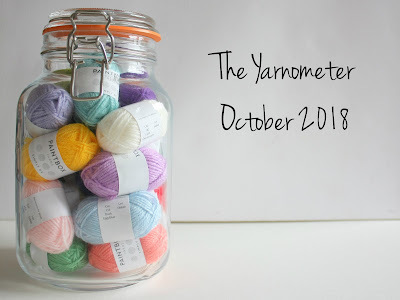 Here’s my Yarnometer log for October. I finished a single project in October, a blanket for my friend’s newborn. I used the Hydrangea stripe pattern from Attic24, and this project was perfect for working on with a tiny baby dozing on my knee. 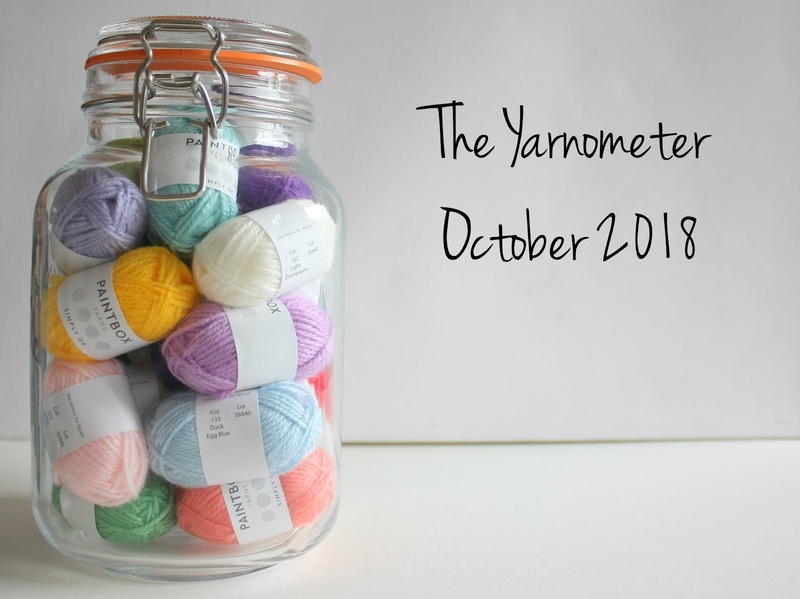 A month in which only a little crafting got done, but I did manage to destash a few odds and ends, and my yarn purchases were somewhat considered (I’ve actually used three of the items as I type this in January). 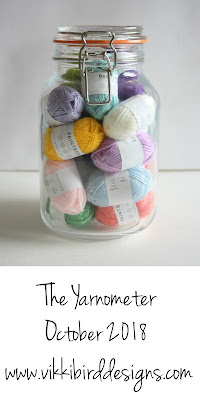 I’m a little alarmed at how large the yarn-in total for the year is though!